Nabukavesi Village in Namosi could be quarantined soon if an outbreak of typhoid is not contained and eliminated. The Tui Namosi, Ratu Suliano Matanitobua, made an impassioned plea to his people at the Namosi Provincial Council meeting yesterday to act. “Let us do all we can to eliminate this disease. There are things you can do. We do not have to wait for the Government. Let us value the lives of our people,” Ratu Suliano said. Dr Sailosi Soqo, the Sub-Divisional Medical Officer Serua-Namosi, warned that Government would be forced to invoke the emergency law, Public Health Act, and quarantine Nabukavesi if the situation failed to improve. This would mean no one would be allowed to enter or leave the village, he said. In a few months nine typhoid cases had been confirmed in Nabukavesi and five in the Namosi Provincial Council office. Despite training and public awareness programme on clean hygiene like washing your hands after going to the toilet, situation was not improving. To make matters worse, of the 110 households, 15 did not have toilets. “If there are 4 in each of the 15 families, you are talking about 60 people sharing toilets with other families,” Dr Soqo said. He said that just increased the risks of spreading the disease. The problem was compounded by the water problem. A delegate said the water pressure was so low that the villagers could go without water for a whole day. Health Inspector Navua Salote Cataka appealed to the council to do everything in their power to empower the Nabukavesi villagers to reduce and eliminate typhoid. She said the Disaster Outreach and Response team had made various attempts to control the disease through education of the villagers on proper hygiene. Late yesterday the delegates were discussing whether to visit Nabukavesi and speak to the villagers. Two other villages, Qilai and Mau would be affected if Nabukavesi was quarantined. Nabukavesi is part of their access route. In 2013, Wainiyavi Village was quarantined during a typhoid outbreak. Commissioner Central Meleti Bainimarama yesterday called for a change in mindset in line with Government policies. 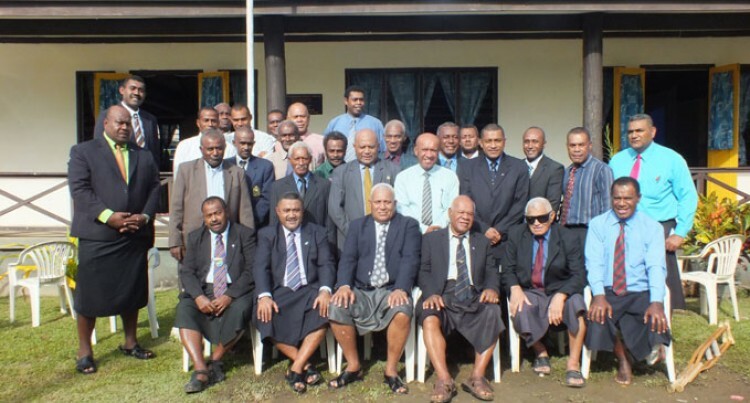 He was speaking while opening the Namosi Provincial Council meeting in Navua. He said the Government was ready to support development initiated by the province. Last year the Government gave $196,475.51 to his office for development. He said $39,292 was channelled to self help projects. In the first quarter of this year $40,326 was set aside for these projects. He said people should realise that sometimes processes were not as fast as they expected. As civil servants Mr Bainimarama said in was their responsibility to treat everyone equally. He said development should be based on three pillars, the vanua, Government and resources. Chief Daniele Vakatawabai said Namosi villagers supported the renewal of the prospecting licence for Namosi Joint Venture (NJV). “We have given our approval,” he said. He was commenting on Prime Minister Voreqe Bainimarama’s statement that the licence was on hold “because we have yet to be satisfied that the necessary environmental protection can be met. “We have done our part. Now it is up to the Government to decide,” he said. Mr Vakatawabai is the Turaga ni Yavusa Nabukebuke and chairman of the Bose ni Tikina (District Council). NJV says it is still some time away from completing its environmental and social impact assessment. Namosi parents were yesterday challenged to give their children moral support so that they can be successful in education. Serupepeli Udre, acting Divisional Education Officer Central, said no scaling of marks would be made this year. He said there should be no surprises because the actual or raw marks scored by students would be used. He gave some figures to illustrate his point. Last year, in Namosi Secondary School 48 students sat the Form 6 exam. Twenty four passed (raw marks). After scaling, 28 passed. In Wainimakutu Secondary School, 15 sat but only one passed (raw marks). After scaling, nine passed. In form 7, in Namosi Secondary, 28 sat, six passed (raw marks). After scaling, 15 passed. In Wainimakutu, eight sat, three passed (raw marks). After scaling, six passed.